I’ve had carpal tunnel pain on and off for years. If you do a lot of repetitive motion you are more prone to get it. I think mine started 20 years ago when I did a lot of canning. About 4 years ago I had some tests done and surgery was suggested. I decided to try alternative therapy first. I splinted my hands at night and did stretching exercises during the day. It really helped for about 3 years. But it had gotten to the point that it was keeping me awake at night and nothing was helping anymore. I finally just had the surgery. I thought it was funny that after I had my surgery I found out my brother had his other hand done on a Tuesday, my little sister that Wednesday and me on Thursday. Anyway, after surgery you are only restricted by your pain, not that bad, but I pretty much didn’t do anything at all for two days. 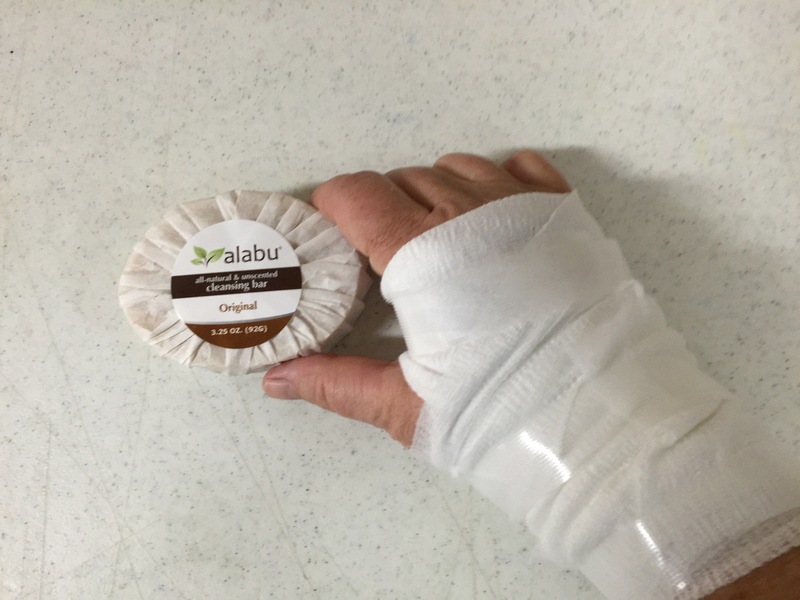 I also had to keep it dry (yeah, I wasn’t very good at that, but I’m really good at re-bandaging). By 2 weeks l thought I had full use of my hand but found out clipping Chia was a little too much too soon. But my hand hasn’t bothered me at all at night since the surgery. So I’m happy that I finally had it fixed. A big thank you to Dr. Ferrara for a great job and for being so nice. Anyway I just thought I’d share my experience since I know a lot of people also experience carpal tunnel pain. Posted by Maryclaire Mayes on Sunday, August 30th, 2015 at 11:30 and is filed under General, My Life and Family.